Jonathan T. McPherson is the Special Agent in Charge of the Bureau of Alcohol, Tobacco, Firearms and Explosives (ATF) Columbus Field Division, with operational responsibility for Ohio and the southern judicial district of Indiana. ATF is a key law enforcement agency within the U.S. Department of Justice that protects the public from violent crime, violent criminal organizations, illegal firearms trafficking and possession, unlawful storage and utilization of explosives, acts of arson and bombings, acts of terrorism, as well as the illegal diversion of alcohol and tobacco products. The men and women of ATF perform the dual responsibilities of enforcing Federal criminal laws and regulating the firearms and explosives industries to protect the public against violent crime and other threats to public safety. Prior to his appointment as SAC, Special Agent McPherson was appointed Chair of the Professional Review Board (PRB) from February 2018 until April 2019. The PRB holds the responsibility of ensuring all OPRSO or DOJ OIG investigated allegations of employee misconduct are handled lawfully, fairly, consistently and expeditiously. From March 2016 until February 2018, Special Agent McPherson was appointed Assistant Special Agent in Charge (ASAC) of the Louisville Field Division (LFD), Louisville, Kentucky, overseeing Criminal Enforcement investigations and operations in the Eastern Kentucky and West Virginia LFD Areas of Responsibilities (AOR). He also held the collateral duty of part-time PRB member while serving as ASAC. In November 2014 until March 2016, Special Agent McPherson was appointed Deputy Chief, Special Operations Division (SOD) in Bureau Headquarters (HQ). As Deputy Chief, he oversaw the Digital Forensics Branch, the OCDETF Branch, the Technical Operations Branch (TOB) and the Undercover Branch. Prior to serving as Deputy Chief, he was a Program Manager in the Frontline Branch, Firearms Operations Division, from August 2014 until November 2014. Prior to being reassigned to Bureau Headquarters in 2014, Special Agent McPherson was appointed Group Supervisor of the Seattle Group I and Group IV Field Offices, Seattle, Washington, from June 2012 until August 2014. From July 2009 until September 2011, Special Agent McPherson was appointed Team Commander for the ATF Special Response Team (SRT – Team 1), in Detroit, Michigan. As Team Commander, he led SRT Team 1 in the planning and execution of high-risk enforcement operations in support of ATF criminal investigations in the 14-state Team 1 region, as well as other ATF investigative operations across the nation. ATF SRT also provides support to other Federal, State and local law enforcement operations. Special Agent McPherson was a senior member of the ATF SRT, having served in the program from December 1992 until September 2011. During his tenure with the SRT Program with Teams, he held the positions of Part-Time Operator, Forward Observer, Full-Time Operator and Team Commander. 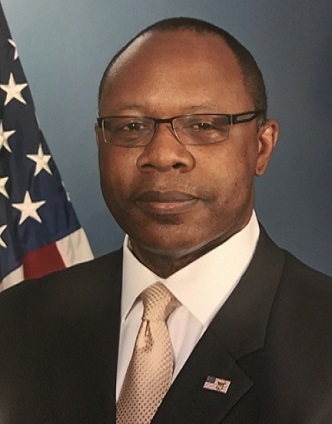 Special Agent McPherson began his career with ATF in 1990 and was a Special Agent in the Seattle Group I Field Office, Seattle, Washington from June 1990 until May 2002 and the Santa Ana I Field Office, Santa Ana, California from May 2002 until January 2008. Special Agent McPherson, who is also a certified Firearms Instructor, attended Eastern Washington University, Cheney, Washington, where he graduated with a bachelor’s degree in Criminal Justice.